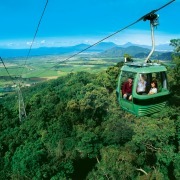 2 Day - Evolution Outer Reef & Kuranda Train & Skyrail combo including Evolution Outer Barrier Reef cruise visiting two destinations and Kuranda Scenic Railway with Skyrail Rainforest Cableway with hotel transfers on your second day. 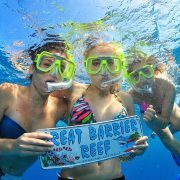 Welcome to the Great Barrier Reef! 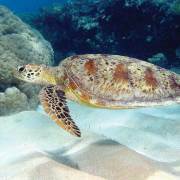 Stretching off the Queensland Coast from Lady Elliot Island in the south all the way up to Papua New Guinea in the north, the Great Barrier Reef by far is one of Australia's most remarkable gifts. Comprising of around 2,900 individual reefs, scattered with beautiful islands and idyllic coral cays, the Great Barrier Reef is a must-do on any holiday itinerary. With an abundance of experiences from the hardest part will be fitting it all into your itinerary! From spectacular scuba diving to remarkable scenic helicopter flights, island resorts to luxurious sailing, laid back cruising and sea kayaking adventures; the Great Barrier Reef is an adventure playground just waiting to be explored. 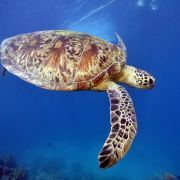 Cairns is the closest major gateway to the Great Barrier Reef with a huge array of trips and activities departing daily. The Reef Fleet Terminal situated between the Pier Shopping Centre and Cairns Harbour Lights provides a convenient hub for travellers to check in for their chosen reef activity. 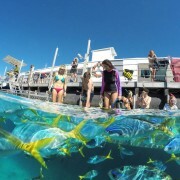 Airlie Beach is the major gateway for accessing the Whitsunday Islands. Domestic air services fly into Proserpine airport or directly to Hamilton Island. 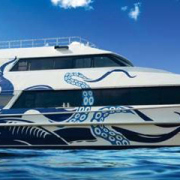 Gladstone services departures to Heron and Wilson Islands, and access to Brampton Island is via departures from Mackay. 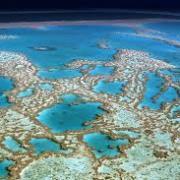 Reef Tours depart daily from Cairns, Port Douglas and the Whitsundays area. 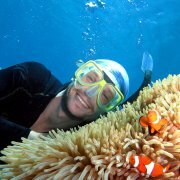 Great Barrier Reef ToursSnorkelling the Great Barrier Reef is one of the best and most popular ways to truly appreciate the beauty this natural wonder.It's ideal for people of practically all age groups and is perfect as a family activity or with friends. 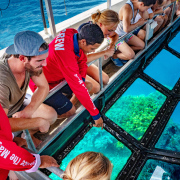 Most marine activity takes place in the top four metres of the ocean, so you will be able to view just as much marine life from above as the divers do below; just looking from a different perspective. 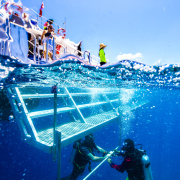 Outer reef pontoon trips operate offshore from Cairns, Port Douglas and the Whitsundays. 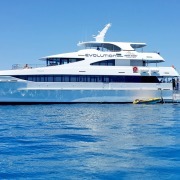 They allow large numbers of passengers to experience the reef from a safe and spacious platform. Floating reef pontoons are designed to provide the best experience for both swimmers and non-swimmers. 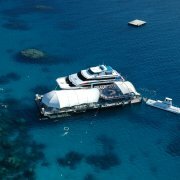 Some of the inclusions on the pontoon are:- undercover seating, change rooms and showers, underwater coral viewing observatory, semi-submersible rides, glass bottom boat tours, marine touch tank, snorkel platform, kids enclosed swim area, an introductory dive platform, sunbaking deck and the list goes on..
To really appreciate the size and natural beauty of the Great Barrier Reef, you must see it from the air.Scenic Helicopter Flighton the Great Barrier Reef Astronauts are amazed at what they see from outer space when they look down on the worlds largest living structure, you will be amazed too! 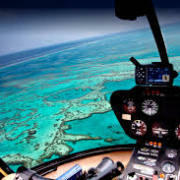 From altitude the colours of the Great Barrier Reef are superb, not to mention the marine life. 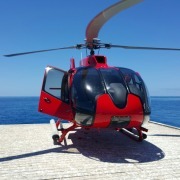 Dugong, Manta Rays, large Green Turtles and at certain times of the year huge Hump Back Whales make taking a scenic flight a very special and memorable experience. 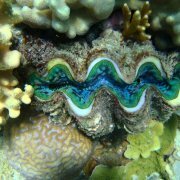 Hundreds of kilometres beyond the Great Barrier Reef, Australia's Coral Sea harbours the undersea remnants of ancient volcanoes. Here, the diver is presented with sheer walls laced with massive soft corals and gorgonian fans, that plummet 1000 metres to the ocean floor. 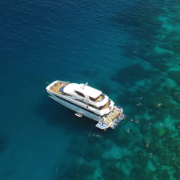 Liveaboard Dive Tours Cairns These isolated reefs, including Osprey and Bougainville Reefs are home territory for huge schools of pelagic fish, manta rays and sharks, and are renown for their crystal clear waters. For serious divers, this is the ultimate dive adventure. 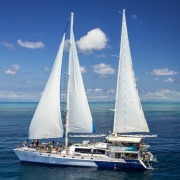 Diving the remote regions of the Ribbon Reefs and Coral Sea requires you to join a live-aboard dive expedition. 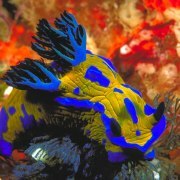 This is the best way to experience the highest quality range of diving sites on offer. Trips can last from three to 7 days and many operate out of Cairns or Port Douglas, and include low level scenic flight transfers. 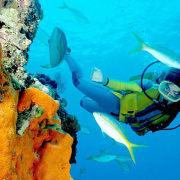 If you have always wished to have experienced first hand the beauty of the underwater world and come face to face with schools of tropical fish, then an open water certification course is your passport to an exciting new world of adventure, and there is no better place to learn to dive than Australia's Great Barrier Reef. 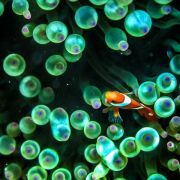 In as little as four days you can become a Certified Open Water Diver. 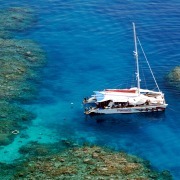 The course will teach you the necessary skills and safety to be able to dive confidently anywhere in the world. 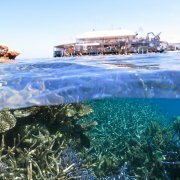 The adventure of learning to dive as well as staying out on the Great Barrier Reef on a liveaboard dive vessel is a unique experience and one that is truly memorable. 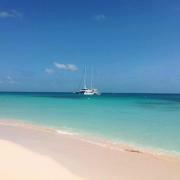 A day out sailing or even an extended sail trip is the perfect way to unwind and rejuvenate. There's nothing better than to be onboard a sailing vessel when the engines are cut and the sails are unfurled and to experience the sensation of gliding through the water under sail. 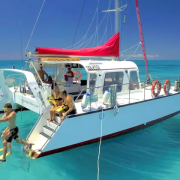 The Whitsundays is a sailing mecca, with richly varied and infinitely beautiful islands as the backdrop, and the calm, protected, warm waters of the Coral Sea. Choose from a variety of overnight trip options such as adventure sailing, eco tallship sailing, outer reef adventures, luxury sailing or even take the helm and sail yourself on a bareboat charter. 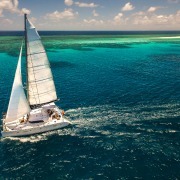 There are also many day trip sailing options to choose from that depart Cairns and visit the inner lying islands and reefs. Enjoy a sail to a deserted island beach for a spot of snorkelling, fishing, island exploring and sunbaking, or just laze on the deck with a good book. 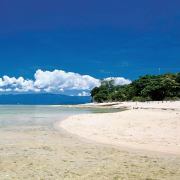 All food and equipment (snorkelling gear, fishing gear, linen, etc) is provided. There's no work, so just relax and watch the world float by. 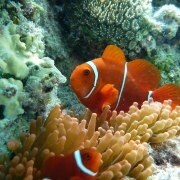 Fishing is one of the most popular Great Barrier Reef activities with Reef/Bottom Fishing being the most common style. 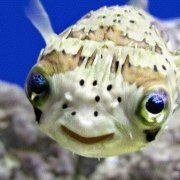 This means that the boat anchors and passengers fish with either hand lines or rod and reel to catch top quality table fish found on the Great Barrier Reef. 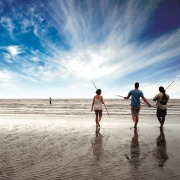 The Great Barrier Reef offers many exciting and different fishing opportunities depending on the season and conditions. 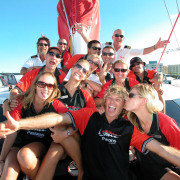 Group charters are most popular. 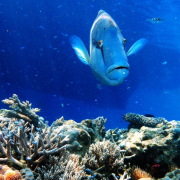 The Great Barrier Reef has a tropical climate; warm summers with higher levels of rainfall and mild winters with minimal rainfall are what you can expect in this Tropical Climate Cairnssubtropical destination. Average temperatures in summer are between 24 and 33 degrees Celsius, in winter 14 to 26 degrees. The water is warm enough to swim in all year round, though do keep in mind that box jellyfish inhabit the coastal waters from October to May. The region averages over 300 days of sunshine per year, so please remember to pack, and use, sun protection items such as sunblock, hat and sunglasses. In this period look for netted areas on the beaches to swim in, or ask a local about the conditions. 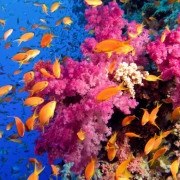 The Great Barrier Reef is internationally recognised for its great diversity of species and habitats. It is home to more than 1,500 species of fish, 411 types of hard coral, one-third of the world's soft corals, 134 species of sharks and rays, six of the world's seven species of threatened marine turtles, and more than 30 species of marine mammals, including the vulnerable dugong. 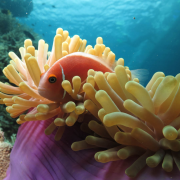 Add to that stunning marine suite as many as 3,000 molluscs and thousands of different sponges, worms and crustaceans, 630 species of echinoderms (starfish and sea urchins) and 215 bird species, of which 22 are seabirds.When you visit the Great Barrier Reef, you can see fish changing colour right in front of your eyes, corals changing colour, fish grooming other fish and loads more of unbelievable little miracles and relationships. During the months from May to September the Humpback Whales journey from the Antartic waters to the Great Barrier Reef, to calve and build up strength over the winter before they return to the Antartic in summer. It is an amazing sight and one not to be missed!